It's definitely not all about us, it's all about YOU! 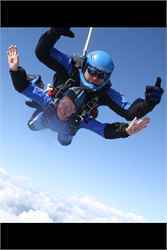 If you have completed a parachute jump or skydive for charity with Skyline then we would love to hear from you and showcase your story! If you would like to then click here to submit your story and if our editor likes it you'll feature on this page within 24 hours!